"We are terminating the ICE contract for all facilities," Orange County spokeswoman Carrie Braun told KPCC/LAist. The county will stop housing detainees as of Aug. 1, according to ICE, which said in a statement that the move "will negatively impact local ICE operations" and force it to relocate detainees "farther away reducing the opportunities for in-person family visitation and attorney coordination." The detainees "will most likely be transferred outside of California," the sheriff's department said in a statement. Orange County's contract with ICE permits it to hold nearly 1,000 ICE detainees long-term, about 600 detainees at the Theo Lacy Facility in Orange and more than 350 detainees at the James A. Musick facility in Irvine. "Since 2015, we have seen a 40 percent increase in open mental health cases in our jails, Orange County Sheriff Don Barnes said in a video announcing the change. "The number of mental health cases now exceeds 1,800 on any given day." "Consequently we must focus on enhancing our mental health services and expanding the number of beds for individuals with mental health needs," Barnes added. The county plans to add about 500 beds for inmates with mental health issues at its Intake Release Center in Santa Ana, according to the sheriff's department. Speaking with reporters Wednesday afternoon, Barnes said the move was also a business decision. 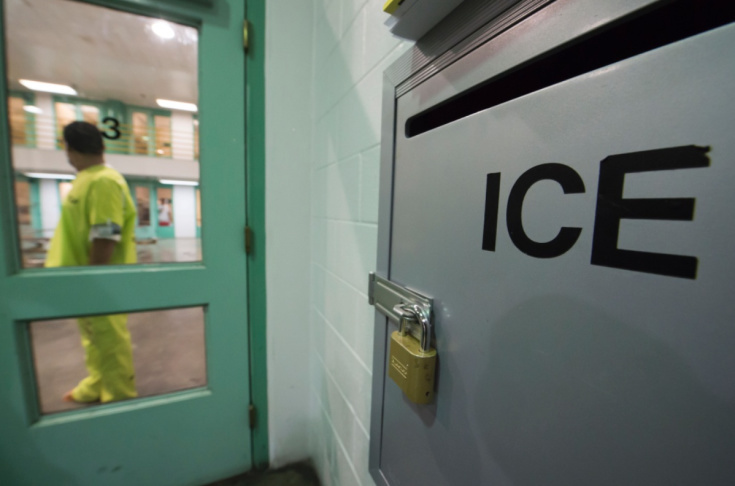 He said it would cost more to maintain the ICE contract than to end it, and that the county must spend money to upgrade its facilities for the mentally ill if it wants to stave off potential litigation from disability rights advocates. At the same time, Barnes said, the county is not housing as many ICE detainees as its contract allows, which results in fewer federal dollars. Ending the contract will also mean that county personnel can be redirected from ICE detention duties, Barnes said. "It gives me the personnel I need to put into these mental health units," he said. Barnes said the Musick facility will be temporarily closed while the county builds two new state-funded facilities. The county has leased bed space to ICE since 2010. The current contract isn't due to expire until July 2020, but it allows for early termination. The ACLU of Southern California is "profoundly concerned about the fate of the immigration detainees" in Orange County's custody, staff attorney Sameer Ahmed said in a statement. Barnes "is wrong to suggest that all individuals must be transferred to other facilities," he added. "We demand that ICE release as many individuals as possible to ensure they remain closer to their families, friends, communities, and attorneys." Ahmed noted that the Theo Lacy immigrant detention facility has been under scrutiny after investigations uncovered poor conditions there. Barnes, in his video, said he wanted to make clear the decision to end the contract was not due to "recent political rhetoric." "Our nine-year leasing agreement has been mutually beneficial and a benefit to Orange County taxpayers," he said. "Ending the contract early is necessary to ensure that we are utilizing our resources to meet our local responsibilities." Barnes added that the county would continue to work with ICE to the extent allowed by California law, which limits local and state cooperation with federal immigration authorities. Orange County houses more than 6,000 people in its jails on any given day, the sheriff said. This story has been updated to include additional comments from Sheriff Barnes on Wednesday afternoon.